Jim Pfister was born in 1948 in Indianapolis, Indiana. He enlisted in the U.S. Army on July 20, 1965, and attended Basic Training and Advanced Individual Training as a Clerk at Fort Knox, Kentucky, graduating in January 1966. His first assignment was as a Clerk at Fort Knox and then with the 94th Supply and Service Battalion at Fort Lee, Virginia, from January to November 1966, and then deployed to South Vietnam with the 94th S&S Battalion and the 148th Ordnance Company from November 1966 to November 1967. PFC PFister then volunteered for a second tour in Southeast Asia as a helicopter gunner with the 71st Aviation Company in South Vietnam, where he served from November 1967 until the helicopter he was aboard was shot down and he was taken as a Prisoner of War on January 5, 1968. 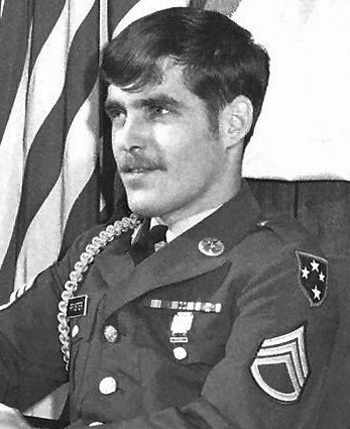 After spending 1,887 days in captivity, SSG Pfister was released during Operation Homecoming on March 5, 1973. He was briefly hospitalized at Fort Knox and then served as an Intel Analyst at Fort Huachuca, Arizona, from November 1973 to September 1974, followed by Supply NCO School at Fort Lee from September to December 1974. 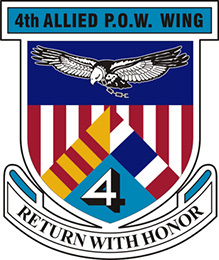 Sgt Pfister served as a Supply NCO at Fort Huachuca from December 1974 to August 1976, and then as a Supply NCO with the 25th Infantry Division at Schofield Barracks, Hawaii, from August 1976 to June 1980. 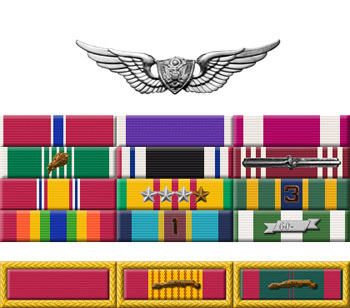 His final assignment was as a Supply Sergeant and Training Sergeant at Fort Bliss, Texas, from June 1980 until his retirement from the Army on July 1, 1986. Jim served as a Veterans Representative for the State of Indiana Workforce Development, helping veterans in finding employment and assisting them in obtaining benefits for any disabilities they had, from October 1992 until his retirement in June 2010. Staff Sergeant James F. Pfister, Jr. distinguished himself by exceptionally meritorious service to the United States of America while detained as a Prisoner of War in Southeast Asia during the period 5 January 1968 to 5 March 1973. His ceaseless efforts, by a continuous showing of resistance to an enemy who ignored all international agreements on treatment of prisoners of war, in the extremely adverse conditions of the communist prisons of Southeast Asia demonstrated his professional competence, unwaivering devotion and loyalty to his country. Despite the harsh treatment through his long years of incarceration, this American continued to perform his duties in a clearly exceptional manner which reflected great credit upon himself and the United States Army.